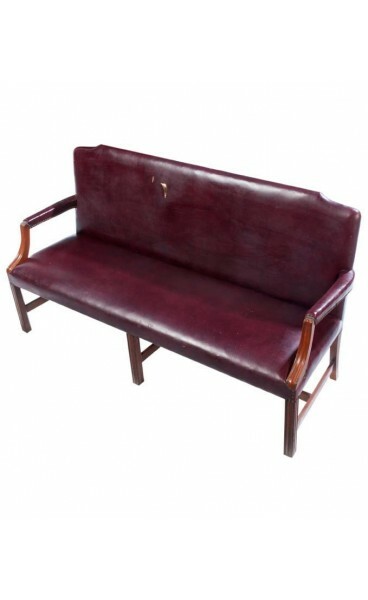 Long wooden bench fully upholstered in a burgundy vinyl. Simple Sheraton style legs and stretcher base allow this piece to coordinate and play well with others in any room. 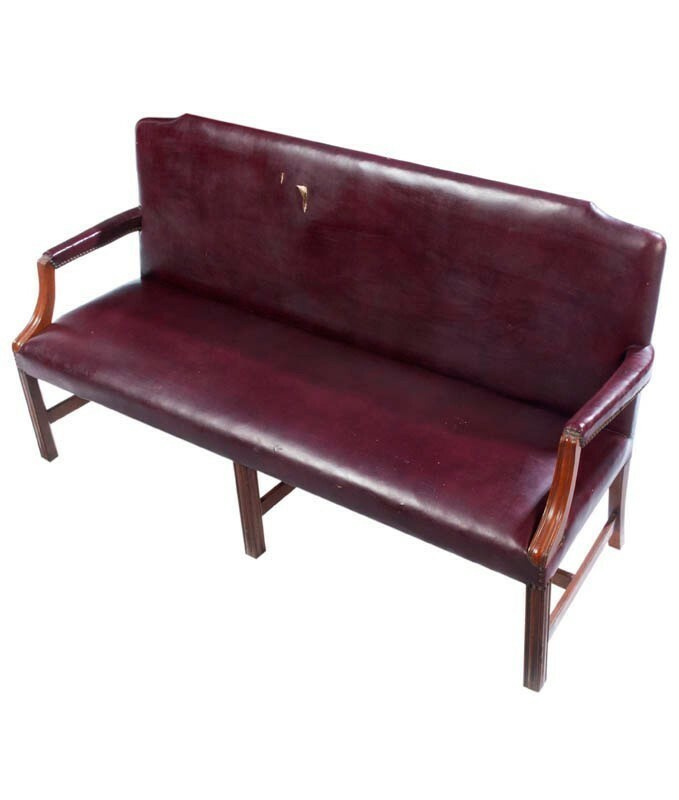 Solid and well built with normal wear of age, slight tear on back cushion. Dimensions: 71.5"W x 27"D x 39.5"H, AH 26.5"H, SH 18"